This is one of our favorite questions to be asked! OCPBR is a foster home based rescue, so you are literally helping us save lives. Our screening process is designed to find the best fit for each individual family and dog. An application is submitted that details your family’s lifestyle and home; references are checked; and a visit is scheduled to your home to meet the family and any pets. If we have a potential foster dog available, we will bring them to make sure they may fit in well at your home. You will also go through a foster training workshop before a dog is placed in your home, this will help you to understand what fostering truly entails and to make sure you are 100% committed. What do I do as a foster parent? Help a homeless Pit feel like part of a family, at least until they find their forever home. This is the transition period from their often unfortunate past to loving forever home. You are helping us prepare a dog for their new life. In order for our dogs to have success in their forever homes, we ask that you allow the new dog time to decompress, and slowly integrate into your home and with other dogs. This fast tracks and helps with house and crate training them, you will help them with their socialization (taking them on daily walks/outings/attend our pack walks) and attend behavior/obedience training (OCPBR will pay for and assist with training). This will make them more desirable to adopters, if they can be presented well. OCPBR also has adoption events that we ask you to attend with your foster. If you are unavailable, we can arrange for a volunteer to assist. OCPBR will pay for everything, this includes all medical care, food and supplies for your foster. Our dogs come from a variety of situations. We work with various city and county shelters to pull dogs from the euthanasia list or dogs that just have been there too long, and some are rescued from abuse/neglect situations that Law Enforcement contact us to assist with. Because we do not have a facility, we are not able to take in strays or owner surrendered dogs. All dogs receive full veterinary care and when able too are spayed/neutered, and micro-chipped. All dogs are also temperament tested by a qualified individual to ensure safe and proper placement. How do you choose a foster dog for my family? We look at the information you have supplied on your application, like your home environment and the personality/activity levels of both your family and other pets. We will make a match to fit your own personal preferences and also what may be appropriate for your individual situation. For instance, we will not place a high-energy adolescent with someone who is not active and has a busy schedule. What kind of support do I receive? We highly value our fosters, and it is the utmost importance that they are happy and comfortable with their foster. We check in with you regularly to make sure both you and the dog are content; and to gain insight on the personality of the foster dog. Foster parents will be checked in with weekly via email or phone, and always have OCPBR contacts on hand. Our volunteers also provide help with dog training and assistance with dog transportation and food delivery. No problem! OCPBR will arrange for a volunteer to care for your foster, or pay for boarding. What if I decide I cannot keep fostering my dog? What if they aren’t getting along with my family or pets? If at any time you need assistance managing your foster dog’s behavior, we have trained volunteers to assist you. If the foster dog is not a good match for your family, we will place the dog in another living situation as soon as possible. How long does a dog typically stay in foster care before adopted? This always varies. Our dogs may stay in foster care for several months to six months to a year+. In Orange County, we are always up against landlords/property managers or insurance companies that discriminate based on breed. We carefully screen applicants to make sure we are placing the dog in appropriate, safe loving homes; this can take time. We measure our success by the quality of homes we have placed our dogs into, not the quantity of those adopted. Do I get to be involved in the adoption process of my foster dog? Of course. We understand that while this dog has been living in your home with your family, you know them the best. We take any recommendations from foster parents very seriously. 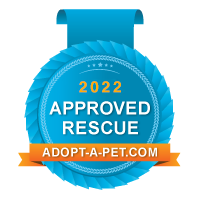 We will let you view any approved adoption applications, and attend the potential adopter’s home visit if you choose. We know that foster parents do become quite attached to the dogs they have cared for, so we find it helps to feel involved in the dog’s future. Yes, we all know and love those “foster finds”. While we hope we don’t lose a foster home; we know that the best homes sometimes are those foster families that have already integrated the dog into their lives. As long as there are no current pending applications on the dog-foster families absolutely can apply to adopt their foster dog!